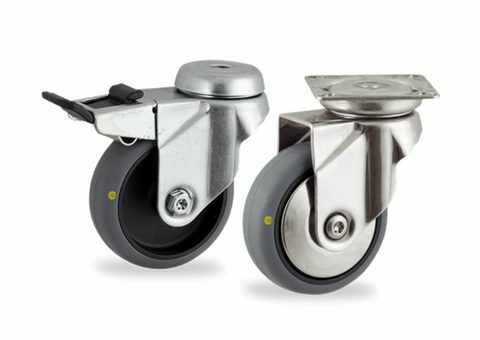 Institutional casters & Wheels Archives - Roda S.A.
Institutional casters are mainly used for trolleys for light applications, mainly addressed to the service sector, such as hospitals, furniture, catering equipment for total load from 150Kg up to 350Kg. 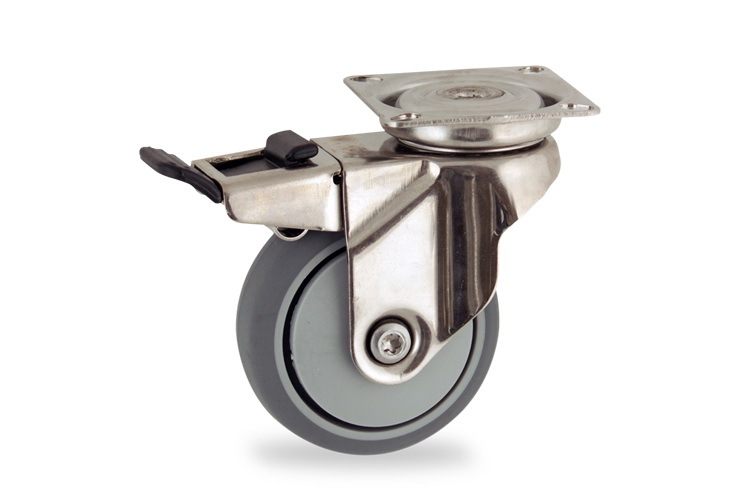 Stainless casters of top quality made from AISI 304, specially addressed to the catering and hospital furniture industry. 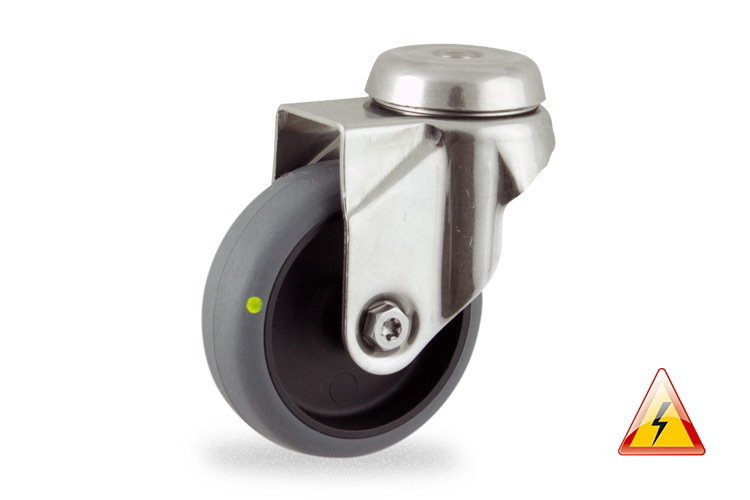 From 50mm up to 150mm diameter. 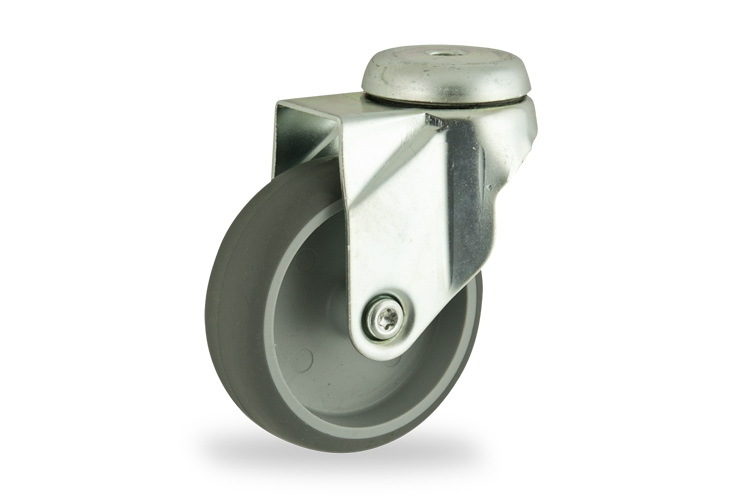 Zinc plated casters for light trolleys, addressed to different applications mainly addressed to the services area, such as furniture, POS, super market trolleys and many others. 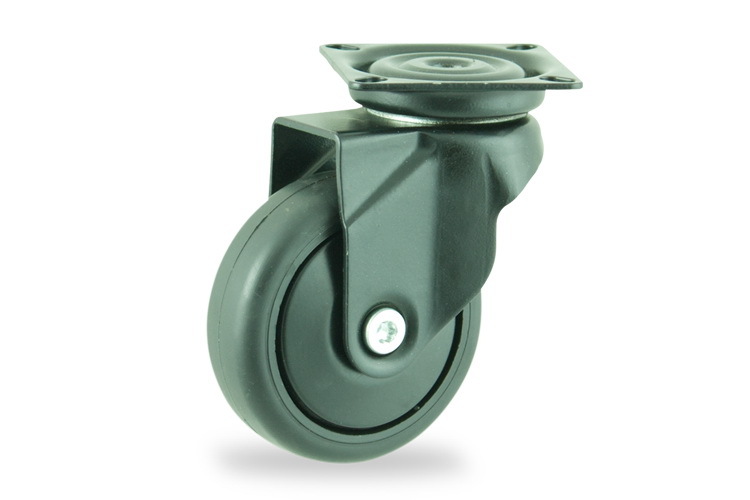 From 50mm up to 150mm diameter. 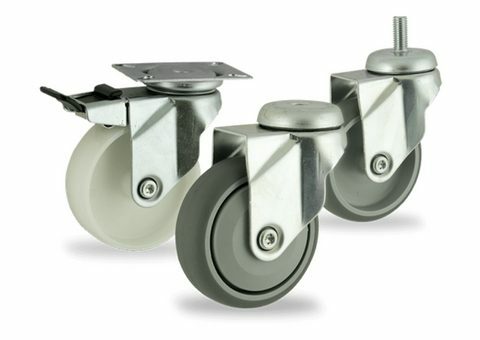 Electric conductive casters are the solution in order to avoid static electricity. 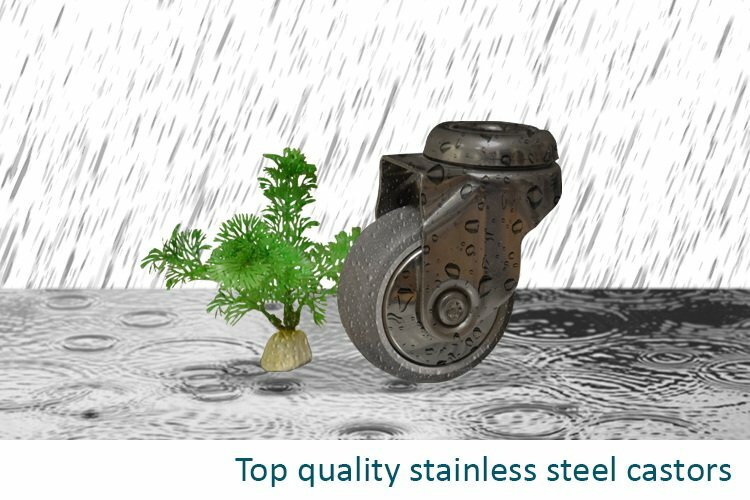 Suitable for applications like scanners, X-ray devices and very sensitive electronic equipment. 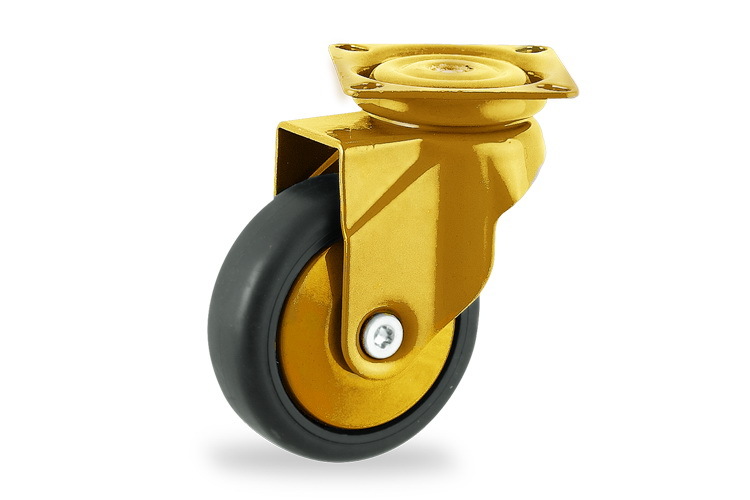 From 50 up to 150mm diameter. 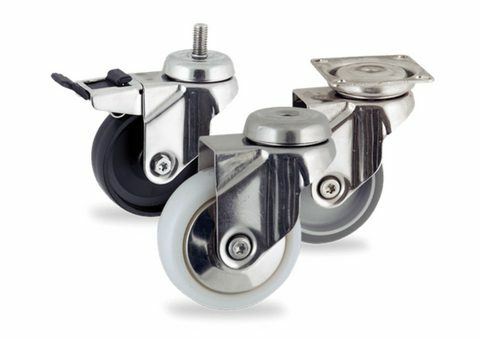 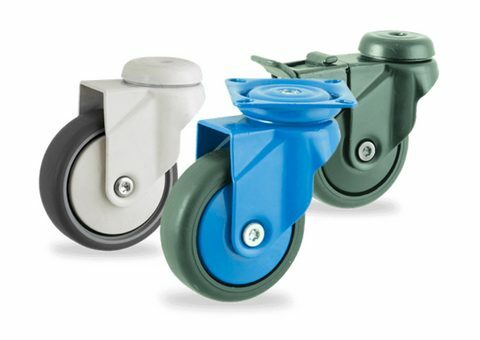 Institutional casters with different color support for high aesthetic design from 50 up to 150mm diameter.